Land consolidation (LC) is a tool to improve the processing efficiency of agricultural area and the promotion of rural development same time an indispensable application for the promotion of sustainable agriculture. In order to achieve the reallocation process after LC, determining the correct of soil index (SI) for each of the agricultural parcels is very important for the success of LC projects. Nowadays, interpolation methods are extensively applied in the mapping processes to estimate the SI at unsampled sites. The objective of this study was to evaluate and compare the performance of three interpolation methods for the agricultural SI values maps with GIS technology for LC projects. The SI data were determined from 132 observation points. Three spatial interpolation methods Ordinary Kriging (OK), Inverse Distance Weighted (IDW), and Radial Basis Functions (RBFs) were utilized for modeling the agricultural SI values. The results indicated that all methods provided a high prediction accuracy of the mean concentration of SI.In this study, although the best performed interpolation method was the OK, the results showed that the performance differed slightly among three methods. Results show that all the methods present a good performance in the estimation with RMSE (root mean square error) and ME (mean error) close to 0%. Boyd, J.P., 2015. Convergence and error theorems for Hermite function pseudo-RBFs: Interpolation on a finite interval by Gaussian-localized polynomials, Applied Numerical Mathematics 87, 125-144. Cafarelli, B., Castrignan, A., De Benedetto, D., Palumbo, A.D., Buttafuoco, G., 2015. A linear mixed effect (LME) model for soil water content estimation based on geophysical sensing: a comparison of an LME model and kriging with external drift, Environmental Earth Sciences 73(5), 1951-1960. Cui, Y. Q., Yoneda, M., Shimada, Y., Matsui, Y., 2016. Cost-Effective Strategy for the Investigation and Remediation of Polluted Soil Using Geostatistics and a Genetic Algorithm Approach, Journal of Environmental Protection 7(01), 99-115.
de Amorim Borges, P., Franke, J., da Anunciação, Y. M. T., Weiss, H., Bernhofer, C., 2016. Comparison of spatial interpolation methods for the estimation of precipitation distribution in Distrito Federal, Brazil, Theoretical and applied climatology 123(1-2), 335-348. Derlich, F., 2002. Land Consolidation: A Key for Sustainable Development – French Experience, FIG XXII International Congress, Washington, USA. Guo, B., Jin, X., Yang, X., Guan, X., Lin, Y., Zhou, Y., 2015. Determining the effects of land consolidation on the multifunctionlity of the cropland production system in China using a SPA-fuzzy assessment model, European Journal of Agronomy 63, 12–26. Jiang, G., Wang, W., 2017. Markov cross-validation for time series model evaluations, Information Sciences 375, 219-233. Kamali, M. I., Nazari, R., Faridhosseini, A., Ansari, H., Eslamian, S., 2015. The Determination of Reference Evapotranspiration for Spatial Distribution Mapping Using Geostatistics, Water Resources Management 29(11), 3929-3940. Latruffe, L., Piet, L., 2014. Does land fragmentation affect farm performance? A case study from Brittany, France, Agricultural Systems 129, 68–80. Li, J., Heap, A.D., 2014. Spatial interpolation methods applied in the environmental sciences: A review, Environmental Modelling & Software 53, 173-189. Liu, Y., Hu, S., Sheng, D., Chang, L., Jia, M., 2016. 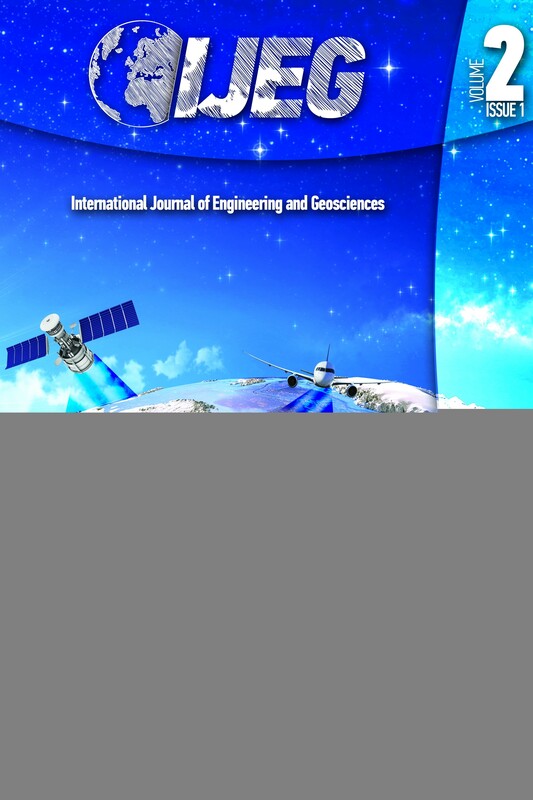 Study of precipitation interpolation at Xiangjiang River Basin based on Geostatistical Analyst, In Geoinformatics, 2016 24th International Conference on (pp. 1-5). IEEE. Ly, S., Charles, C., Degré, A., 2013. Different methods for spatial interpolation of rainfall data for operational hydrology and hydrological modeling at watershed scale. A review, Biotechnologie, Agronomie, Société et Environnement 17(2), 392. Mei, G., Tian, H., 2016. Impact of data layouts on the efficiency of GPU-accelerated IDW interpolation, SpringerPlus 5(1), 104. Mirzaei, R., Sakizadeh, M., 2016. Comparison of interpolation methods for the estimation of groundwater contamination in Andimeshk-Shush Plain, Southwest of Iran, Environmental Science and Pollution Research 23(3), 2758-2769. Muchová, Z., Leitmanová, M., Petrovič, F., 2016. Possibilities of optimal land use as a consequence of lessons learned from land consolidation projects (Slovakia), Ecological Engineering 90, 294-306. Orea, L., Perez, J. A., Roibas, D., 2015. Evaluating the double effect of land fragmentation on technology choice and dairy farm productivity: A latent class model approach, Land Use Policy 45, 189-198. Osmanli, N., Sert, E., Uyan, M., 2017. Social texture map and Social Information Center design and integration for social welfare in the city of Konya, Turkey, International Social Work 60(2), 521-533. Peng, X., Wang, K., Li, Q., 2014. A new power mapping method based on ordinary kriging and determination of optimal detector location strategy, Annals of Nuclear Energy 68, 118-123. Pereira, P., Oliva, M., Misiune, I., 2015. Spatial interpolation of precipitation indexes in Sierra Nevada (Spain): comparing the performance of some interpolation methods, Theoretical and Applied Climatology 126(3), 1-16. Reza, S. K., Baruah, U., Sarkar, D., Singh, S. K., 2016. Spatial variability of soil properties using geostatistical method: a case study of lower Brahmaputra plains, India. Arabian Journal of Geosciences, 9(6), 1-8. Smith, T.B., Smith, N., Weleber, R.G., 2017. Comparison of nonparametric methods for static visual field interpolation, Medical & biological engineering & computing 55(1), 117-126. Su, L.D., Jiang, Z.W., Jiang, T.S., 2015. Numerical Method for One-Dimensional Convection-diffusion EquationUsing Radical Basis Functions. Journal of Physical Mathematics 6(2), 2015. Uyan, M., 2016. Determination of agricultural soil index using geostatistical analysis and GIS on land consolidation projects: A case study in Konya/Turkey, Computers and Electronics in Agriculture 123, 402-409. Wang, J., Yan, S., Guo, Y., Li, J., Sun, G., 2015. The effects of land consolidation on the ecological connectivity based on ecosystem service value: A case study of Da’an land consolidation project in Jilin province, Journal of Geographical Sciences 25(5), 603-616. Xie, Y., Chen, T.B., Lei, M., Yang, J., Guo, Q.J., Song, B., Zhou, X.Y., 2011. Spatial distribution of soil heavy metal pollution estimated by different interpolation methods: accuracy and uncertainty analysis. Chemosphere, 82(3), 468-476. Zhang, Y.F., Li, C.J., 2016. A Gaussian RBFs method with regularization for the numerical solution of inverse heat conduction problems. Inverse Problems in Science and Engineering 24(9), 1606-1646. Zhong, X., Kealy, A., Duckham, M., 2016. Stream Kriging: Incremental and recursive ordinary Kriging over spatiotemporal data streams, Computers & Geosciences 90, 134-143. Zhu, Z., Chen, Z., Chen, X., He, P., 2016. Approach for evaluating inundation risks in urban drainage systems, Science of the Total Environment 553, 1-12.